and just one protected woodland. formerly known as 'Our Lady of Hastingleigh' in the 15th century. This is an ancient building probably of a Saxon foundation (if not earlier) and certainly of Norman design. and I have identified a few of them as the signature marks of churchwardens. uncovered in the 1960's are visable on the south east corner walls inside the church. 2.& 3. Grave stones of George Leggett and Joseph Holmes. Quite why just these two stones are listed when there are others from the same era in the churchyard which are not, is a mystery. NB. It has been suggested that the two listings were a token gesture, to preserve the graveyard from suffering the sad fate of Elmsted's graveyard, where most of the stones were removed to the perimiter to enable easier grass cutting. 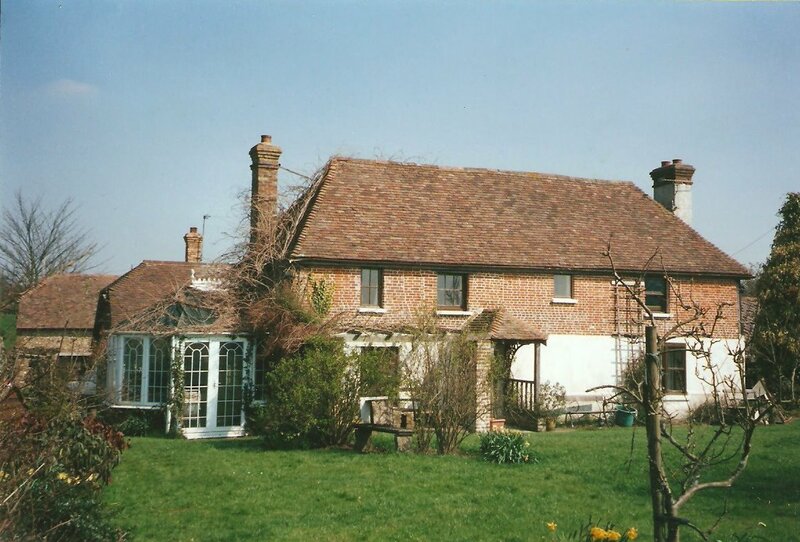 parts of this house date to the 1500's with later additions, notably those done in the 19th century reycling bricks from the former Elmsted Vicarage. 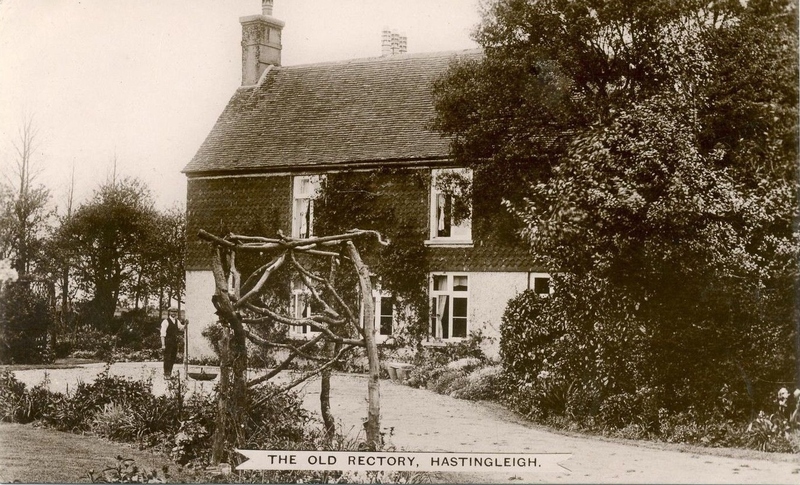 This property was the home of many Rectors of Hastingleigh until Rev. 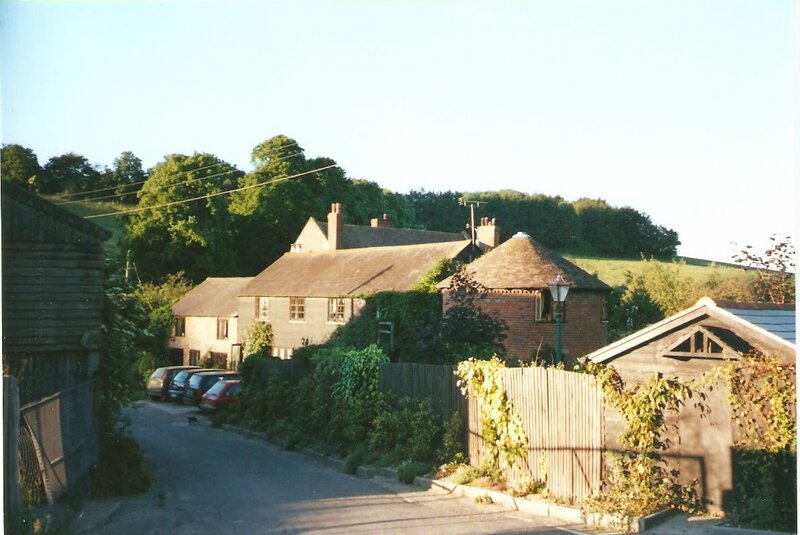 Anthony Collett, during whose incumbancy the Rectory was sold in to private ownership and the money raised from the sale funded the building of a new residence in Bodsham. Parts of the house date too the 1600's and there was a property here long before that. 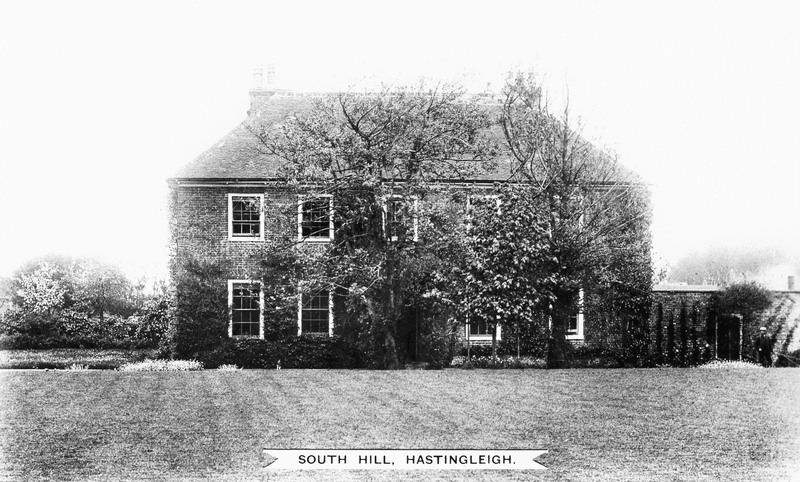 The South Hill estate supported the income of the Rector in earlier years. This estate was the home of the Hawke family. Dr. William Harvey's maternal grandparents lived here in the 1500's. John and Amy Hawke whose grave stone in in the church aisle, lived at South Hill in the 1500's. The high wall can be seen between the main road and the house. 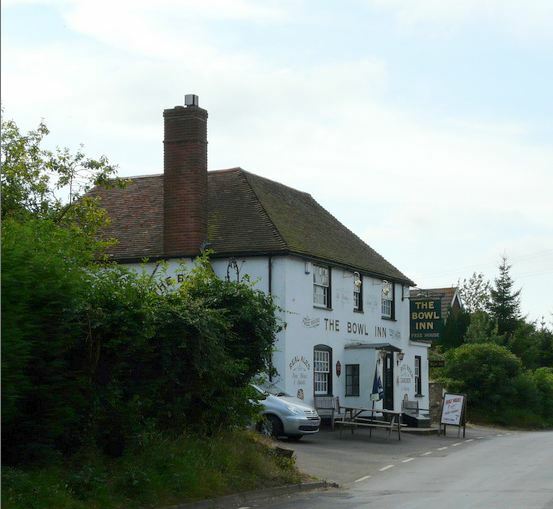 It runs on the opposite side of the road from The Old Rectory. It must be 7-8 feet high and built of red brick. a Tithe barn, built in the 1670's by the family of Thomas and James Crux. built by Thomas Newport in 1746. Dating from the 1600's if not earlier, with later additions and alterations. 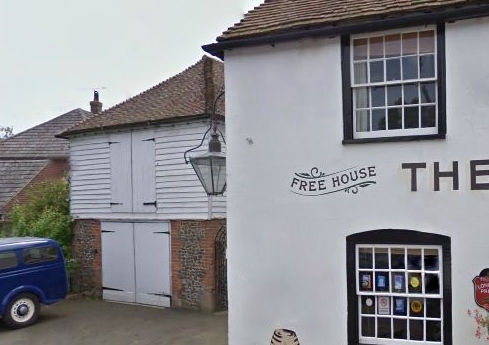 This is now the home of the Antiques buisiness run by the publican of the Bowl Inn.The building exterior resembles a barn, but with upper and lower floors internally and has had a number of commercial uses over the years.It isn't open every day, but worth a visit when it is open. 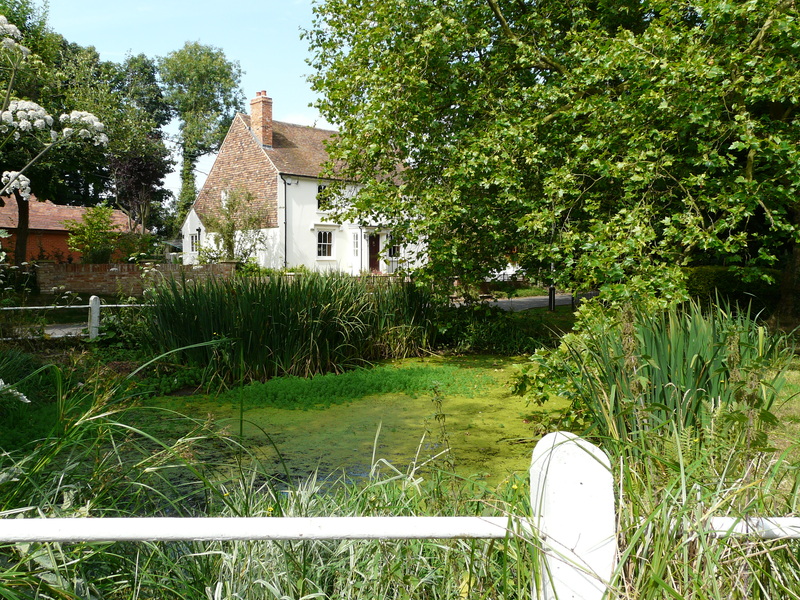 A Georgian Farm House, formerly by the name of Leese Farm, (in 1881 it was No.1 The Street, in 1891 it was called Cubison Villa after Cubison Stickles, the house dates from the late 18th century and overlooks the Village Pond. 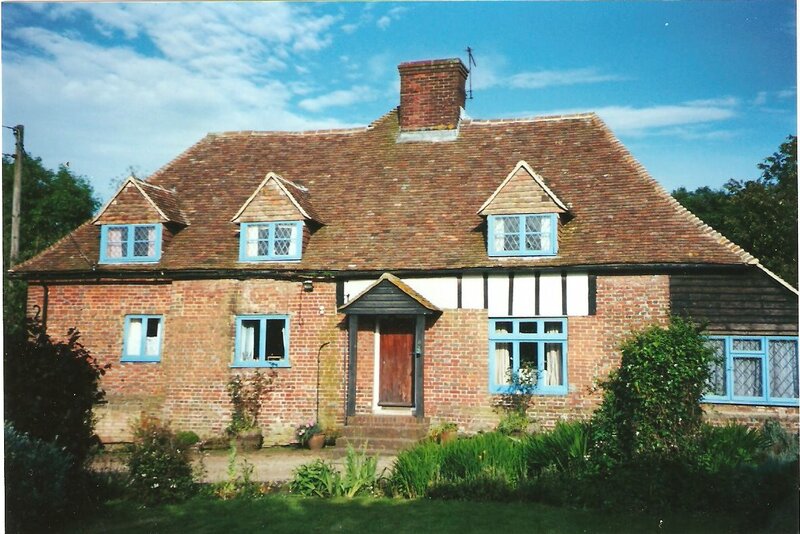 Current house was built in the mid 18th century by Thomas Pilcher (stone reads 1756), the farm estate had existed there for centuries, records date back to the late 13th century. 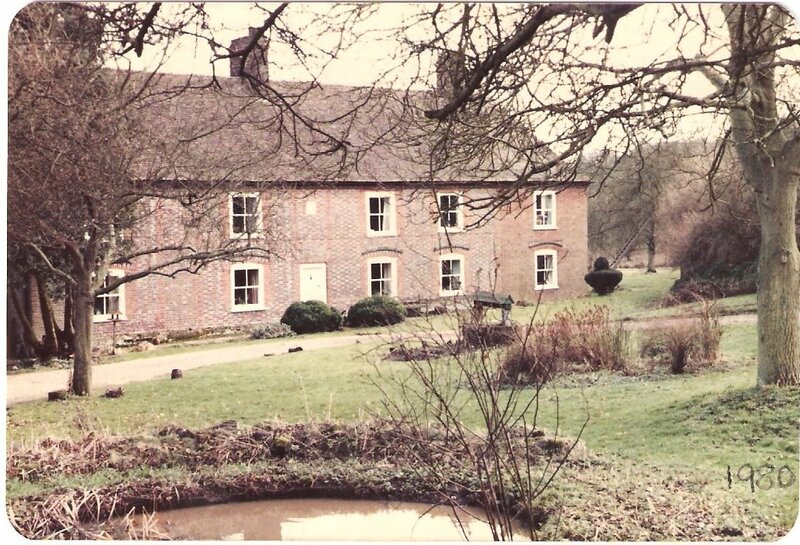 This was one of the estates of the Pilcher family along with Coombe. 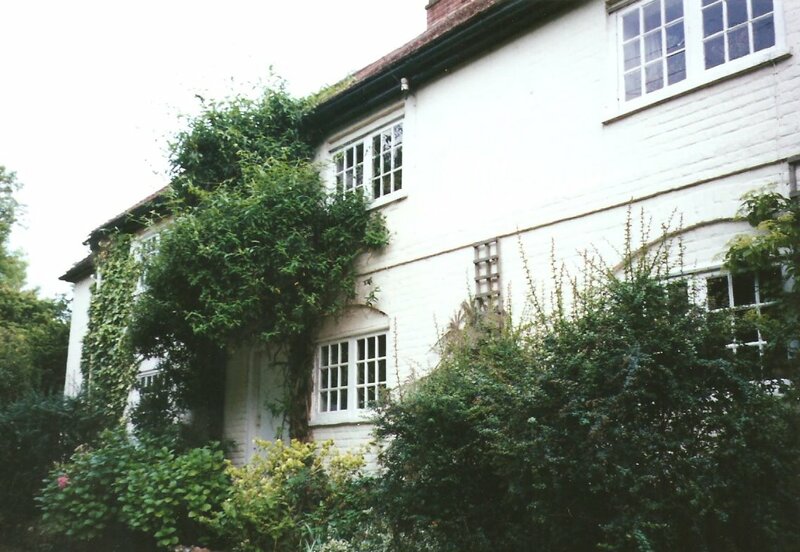 It is located on Hassell Street, and dates to the 14th century, with later alterations. at one time occupied by the actor Gerald Campion, best known for his role as 'Billy Bunter'. The house is now in private ownership. ploughing which revealed pieces of Belgic and Romano-British Pottery. There is also the remains of a c.1700s donkey wheel. 19., 20. & 21. 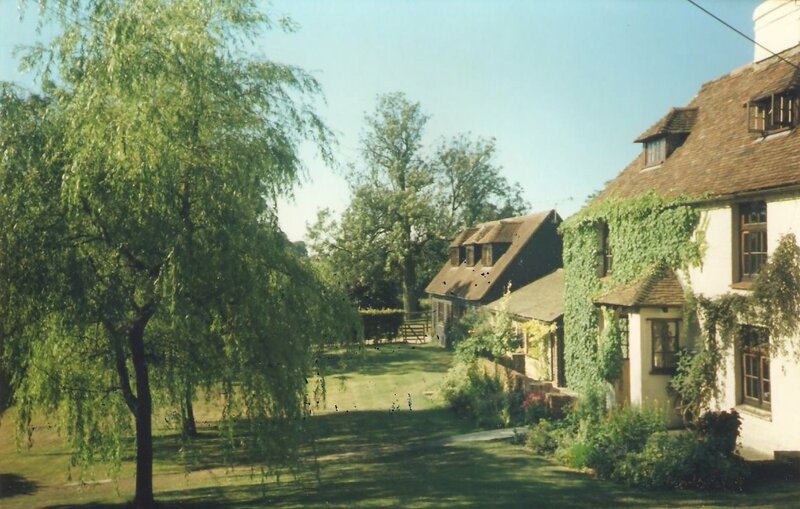 Coombe Grove [Big Coombe] & two barns. Coombe Grove was the site of a WWII anti-aircraft gun placement for defence against flying bombs. It contained a 40mm gun manned by the 4th Light Anti-Aircraft Regiment of 27 Brigade. There was also a searchlight in place manned by the 502 Searchlight Battery of 79 Searchlight Regiment. The two barns are dated from the 1500's and 1600's. garden to the right hand side. So the wood is not very old. 1. Richard's Wood, long named as such and still retaining it's boundaries as shown in 19th century maps of the area. called Hilly Field, partly in Downs Pasture and includes a chalk pit. Kent Downs Area of Outstanding Natural Beauty. pottery as well as flints blades and scrapes. 29 metres in diametre and 16 meters away is another. 3. Smeed Farm: A broken neolithic axe head and several flint artifacts have been uncovered on land at Smeed Farm.